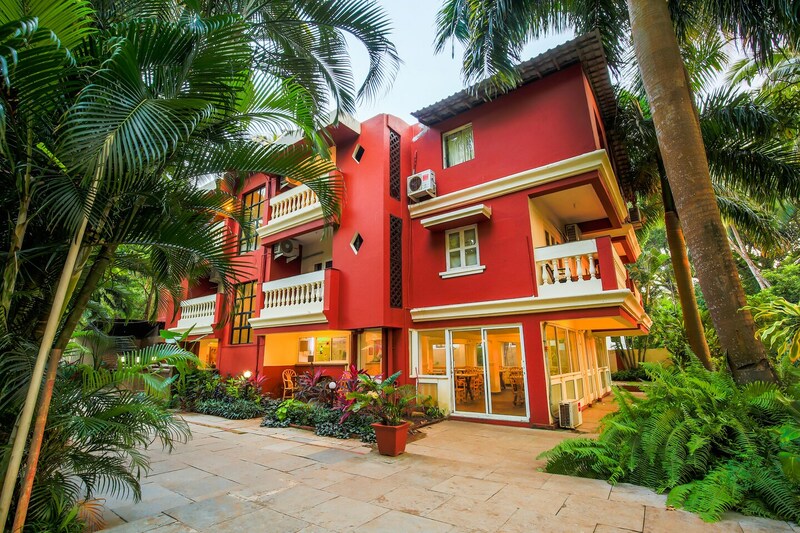 Shruti Resort is the lovely little place that is cozy and comfortable. The property is well-maintained and has been designed extremely well. There is a large swimming pool for the guests and an in-house restaurant for guests to enjoy. The property has parking facility, a special area for kids to play and enjoy along with well-decorated rooms. This bright and vibrant property is close to several local markets and tons of famous eateries. Enjoy fancy Goan food at the Tio Tillys Bar and Kitchen and Asian food at Koi Asian Village, which are close to the resort.